Firms who provide training for their lawyers want to be able to oversee their training investment. RainmakerVT's management dashboard lets you see who's doing what, and how everyone is progressing. From the Main Menu, click Tattletale Reports. You'll see a visual display of the group's activity and progress within a date range, including what days the activity occurred. To change the period under review, click Filter Report at upper right, and adjust the date range. Click each user whose report you wish to view, then click Select Users at bottom left. Now your activity summary will be for the subset of users you selected. You might want to use this to see how different practice groups fare, or offices. If you want to see how lawyers respond to different courses, change your filter to Content Role (course title), and click that dropdown menu to select the courses you wish to review. Click Go, just below and to the left of the dropdown. 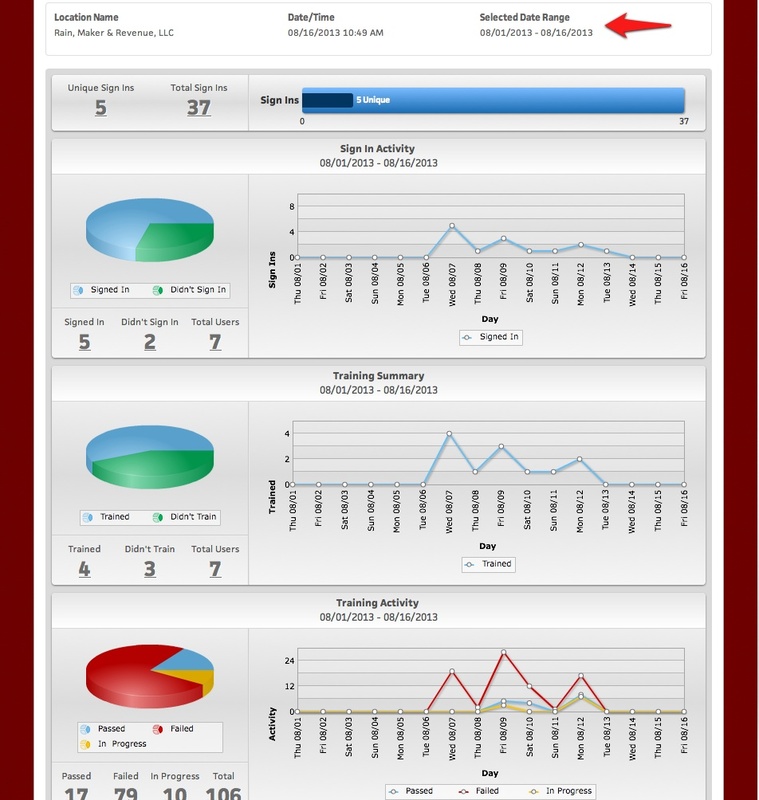 From the resulting list, to view individual lawyers' report cards, either click on the page icon for that lawyer in theOptions column, or click the lawyer's name and click Generate Report Cards at bottom left. View one report card, or up to 50. Simply click the ones you want to see and select Generate Report Cards. Unfortunately, the report card shows that Justice Brandeis hasn't started the Collaborative Pricing course you provided him. As you saw previously, you can filter anyone's report card to view their training performance by date range and view trends.